Many people often perceive that business is only about making a profit and money, without a need to contribute positively to the environment or the people. However, in fact, doing good is actually good for the business. By doing good things, a company can better ensure sustainability, stronger relationships with the stakeholders, as well as a good image and perception that surely will result in a positive impact for the company. 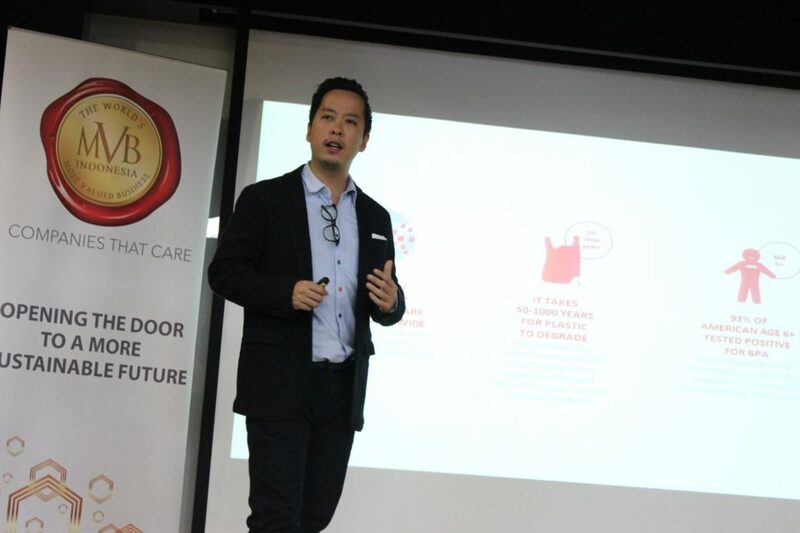 All companies and individuals have their own ways to do good business practices, including Kevin Kumala, an alumnus from BINUS BUSINESS SCHOOL MM in Business Management program. Starting with his frustration about a high amount of waste, especially plastic waste, that polluted the beaches and seas around Bali, a place for him to do his hobby – surfing, he was motivated to look for solutions to manage the non-environmentally friendly plastic and then founded Avani. Avani is an eco-technology company that produces bioplastic or eco-friendly plastic that is made from cassava, sugarcane, and corn. This product, besides being able to degrade biologically, is also compostable, is recyclable with paper, passes an oral toxicity test (harmless when consumed by animals), has high performance under load, and has the lowest cost for bioplastic. Through Avani, Kevin tries to decrease the plastic waste pollution that has already reached an alarming level. He explained there are approximately 2.5 billion metric tons of solid waste produced all around the world, and 275 million metric tons within that is plastic waste. Not only that, every year, eight metric tons of plastic waste goes into the ocean. The right solution for plastic waste pollution is more crucial because in fact there are annually 500 billion plastic bags used worldwide – enough plastic is thrown away each year to circle the Earth four times – and it takes 50-1,000 years for plastic to degrade. Other than that, nowadays, a total of 93% of Americans age 6+ tested are positive for Bisphenol A (BPA), and one million sea birds and hundreds of thousands of marine mammals are killed annually by plastic. The oxo-biodegradable plastic also can’t help to solve this problem. Instead, it creates an arguably more dangerous threat: micro-plastic pollution. Kevin argued that because of those reasons, the 3R (reduce, reuse, recycle) is not enough. 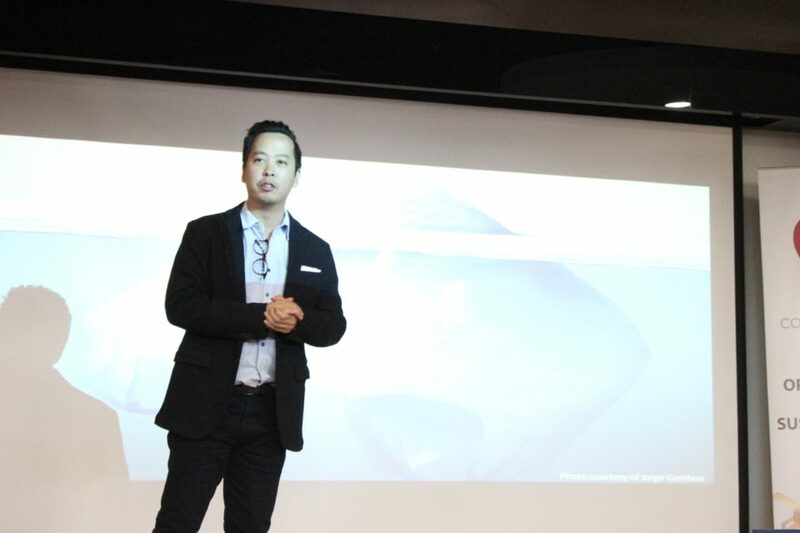 “Therefore, we need to add a fourth one, and that is replace, because it is difficult to change customers’ behaviors only with the 3R,” he said during the 2017 Most Valued Business (MVB) Indonesia Annual Conference on Thursday, 28 September 2017, at the BINUS fX Campus, Jakarta. The “replace”, he continued, will trigger an advancement of technology in the marketplace. Moreover, it allows businesses to become socially responsible to assure sustainability, needs less education to implement, results in a direct impact, and can be carried out by private sectors with a wider reach to end consumers. 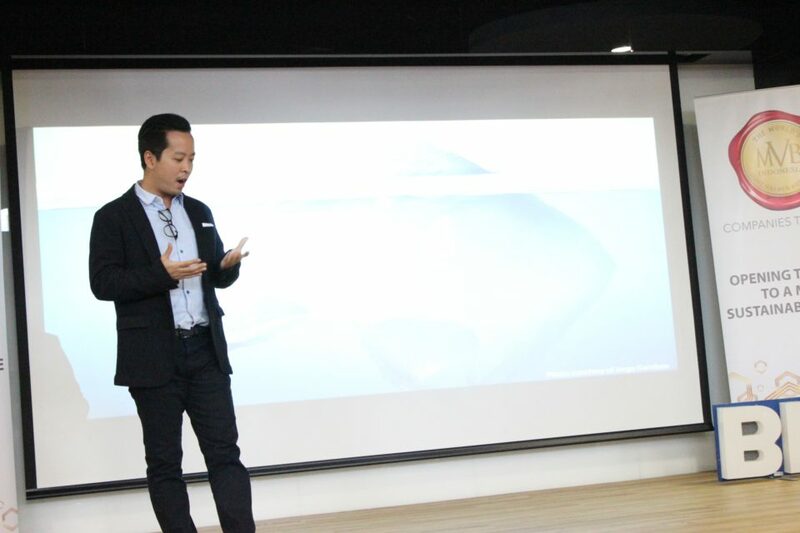 Kevin through Avani tries to replace the plastic usage with bioplastic, for example, the waste of sugarcane fiber to compostable food packaging and corn starch to straw. Avani can also produce various other products like shopping bags, poly bags, aprons, trash bags, gloves, laundry bags, rain coats, bed sheets, packaging, shower caps, seat covers, and more. Until 2016, Avani has made quite a significant environmental impact. Last year, the company supplied its 100% eco-friendly products to replace 197.3 tons or 1433.5 m3 of hazardous and unsustainable materials. That is equivalent to the weight of 1,503 Honda Vario motorbikes or the volume of 83 Jeep Cherokee SUVs. One company that has replaced its materials with Avani’s is Damn! I Love Indonesia by Daniel Mananta. Kevin is now tirelessly introducing Avani to the community and stakeholders through several campaigns. 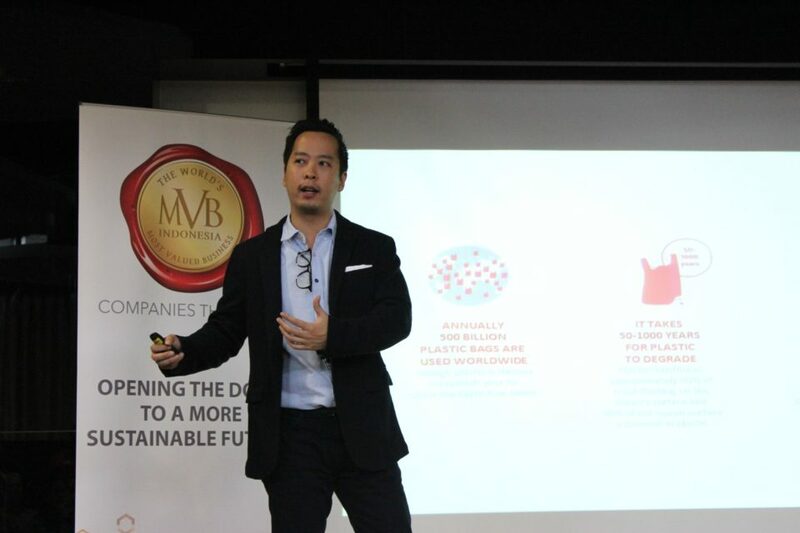 With a provocative slogan, “I am not plastic” (#Iamnotplastic), Kevin is trying to socialize Avani’s products and educate the community about plastic waste pollution and the urgency of the fourth R or replace. “And now, I’m asking you guys to join the campaign. Merdeka dari plastik,” he concluded.